Modern Mormon Men: Are Kids Sports a Hidden Scourge in Society? "How did we get here? 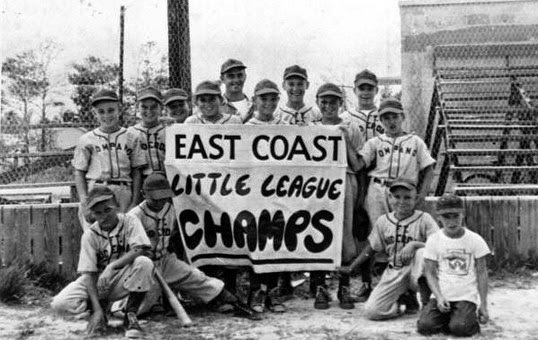 How did we go from spending our family times in parks and picnics, at movies and relative’s houses to travel baseball and cheerleading competitions? When did we go from being supportive to being subtly abusive? "is a hidden scourge in society today, taxing and stressing husbands, wives, parents and children. We're denying children the opportunity to explore literally thousands of facets of interests because of the fear of the need to "specialize" in something early, and that by not doing this your child will somehow be just an average kid. How do we learn to rejoice in the average and celebrate as a whole society the exceptional? I'm not sure, but I know that this whole preoccupation is unhealthy, it is dysfunctional and is as bad as alcoholism, tobacco abuse, or any other types of dependency." MMM readers, what do you think? Image credit: State Archives of Florida (used with permission).